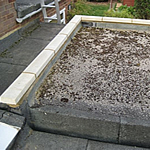 We would definitely recommend and use Gary again for any general building work. We found him reliable, trustworthy, with a real eye to detail and very importantly for us, he was a very tidy builder leaving no mess behind. Good quality work and reasonable price. 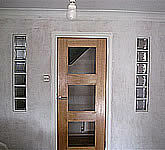 Gary was recommended to me when I was looking for a builder to help with my flat renovation. Apart from being a friendly chap, he is extremely clean and tidy, courteous and punctual. He completely stripped out and replaced my bathroom (plastered tiled, replaced the suite), plastered and tiled my kitchen, completed stud work in the bathroom, living room, bedroom and plastered. Replaced ceilings, laid laminate flooring. He made good everywhere. Gary did a great job. He is a hard worker and gets it done to high standard. I would absolutely use Gary’s services again and would happily recommend him to anyone. You hear so many stories of people being ripped off by builders etc, well Gary is an honest tradesman. I felt completely comfortable giving him a key to my flat which is a big thing these days! Thanks Gary the work still looks great! Gary Britton is very efficient and professional and we have been very pleased with all of his work that he has done for us over the past 6years. We have no hesitation in recommending him to our friends and family. I am very pleased to give Mr. Gary Britton a reference for the work he carried out for us in the past. I employed Mr. Britton twice during last five years for carrying out the work of plastering, painting, making good timber work etc. in our house. I found him to be very diligent, punctual, honest and reliable during the time of his contract with us. 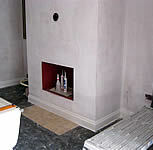 I employed him second time as I was very satisfied with the work he carried out on the first time of his contract. On both occasions he has completed the works within the budget and time-limit of the contracts. 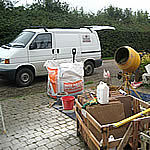 He also helped me liaise with other tradesmen such as plumber, central heating engineer, electrician etc. Therefore, if the opportunity arises in the future, I will have no hesitation in employing Mr. Britton again or to recommend him to anyone else interested in the work of his specialisation. I wish him a successful career and good luck for his future plans. 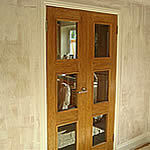 We have known Gary Britton for over 10 years and always found his work to be of a high standard. 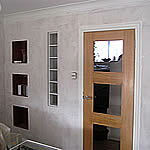 Gary is a skilles plasterer and works cleanly and efficiently with a keen eye for detail and perfection. We were confident enough in Garys' work ethic and honesty to leave him in full charge of our garage convesion whilst we went away for two weeks holiday. 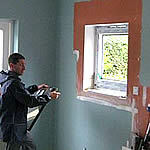 We can also recommend Gary for both inside and outside painting and decorating. We found Gary to be extremely professional, very friendly and incredibly trustworthy. Many people have commented on the quality of his plastering in our house. We would have no hesitation in recommending Gary and we look forward to welcoming him back into our house to do future work. Gary has carried ot work on my house on several occasions and I have always found him reliable and above all, a clean and tidy worker. An excellent plasterer and a good all-rounder.